There are different types of practitioner in fashion. You have those who constantly push boundaries and explore the unexplored, in the case of designers like Rei Kawakubo at Comme des Garçons. You have the ones who are happily trend-led—too many of them there are to single out just one or two. And there is another breed, in a class of their own, those who stick to their guns and don’t intend on changing their ways, come hell or high water. 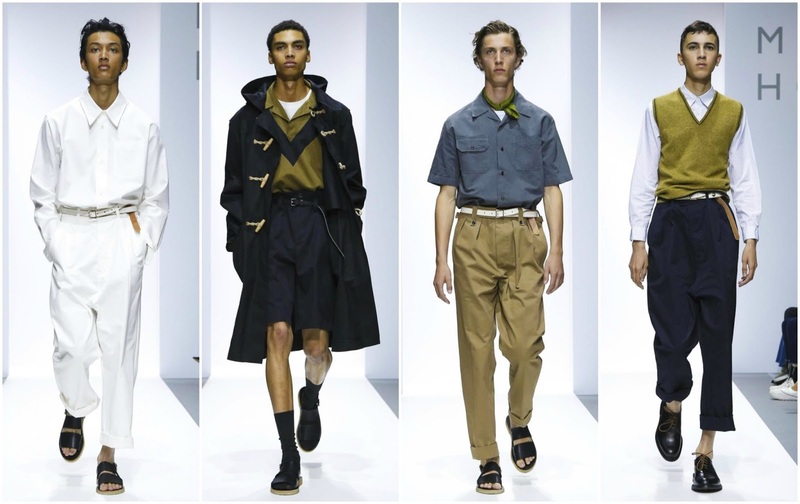 One of those is the inimitable Margaret Howell, who consolidated her menswear and womenswear at London Fashion Week in September for the Spring 2018 season. If the purpose of fashion is to reflect the times but also seek ways in which to initiate a progressive dialogue, doesn’t Margaret Howell negate that? She designs—and with aplomb—neatly tailored, subtly effective, practical clothes. Is her work simply clothing? Or is it ‘luxury’, the inescapable mot du jour? Luxury is both an inescapable but overused word. These clothes apply to the definition of the word, which according to Google is “a state of great comfort or elegance, especially when involving great expense.” But words are just words, to spur them into action, in this case, you have to create good clothing and that is what Howell does. Certainly, the collections are modest, unpretentious and adequately adaptable to anyone’s wardrobe. Spring 2018 comprised of summery checks with white shirts and black trousers. (There was an insistence on biscuity-hued chinos for men and skirts for women; the rest was rendered in unobtrusive earthy tones, all of it understated but wholly and unquestionably desirable.) Inserted into the context of the fashion conversation there are plenty of opportunities to view her work in a different light. Not only do they symbolise a segment of the luxury market that is often ignored by the fashion press, but they are positively radical. Yes: Margaret Howell, purveyor of tailoring and modest silhouettes, a radical. Cast a glance at any of the other shows for all their showmanship, sparkle and standoffishness—whether it is down to over-styled collections, gimmicky clothing and celebrity stunts—and return to Margaret Howell. Undoubtedly, her oeuvre is wildly different to It epitomises luxury and doesn’t buy into the ephemerality of trends, favouring high quality fabrication and timelessness in lieu of that. There may not be any deeper meaning in her clothes. Her menswear is distinguishable as traditional menswear; her womenswear the same. There are no efforts to redefine or represent the changing face of gender in fashion. Menswear is menswear, womenswear is womenswear. (That isn’t to say a woman couldn’t buy into the men’s clothing or vice versa.) This serves to reflect the quotidian, the requirements of those who prioritise functional tailoring over glittering embellishment. One needn’t look any further than here for an olive-green sweater vest, a lightweight denim jacket, or cotton twill shirts. 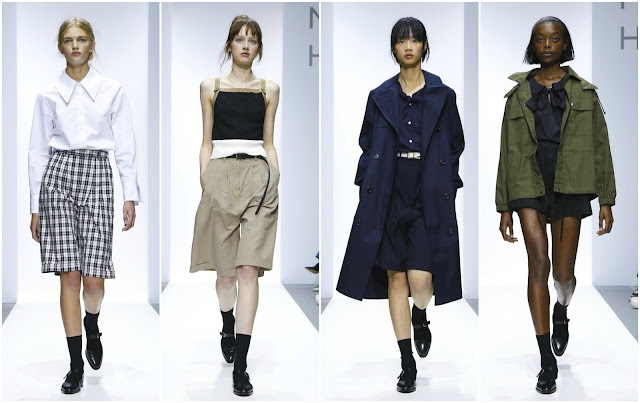 An incisive vision, an undying respect and awareness of the consumers’ wants and needs, what Margaret Howell has going—aesthetics aside—is what every other label strives to achieve, many of them unsuccessful in their attempts. At a glance, it may come off as forgettable but surely, those who buy from this collection will have reliable pieces they can return to time and time again. Perhaps that is what makes a successful fashion designer?